There is an SVG version of this element, but I am sticking with this bare-bones JSON version to focus more on testing. I will continue to run the tests with Karma. Also, I am using the Page Objects testing pattern here, so it will be interesting to see how easy it is to migrate my tests (all two of them) from Jasmine to Mocha. npm ERR! peerinvalid The package karma does not satisfy its siblings' peerDependencies requirements! I really do not understand that behavior. I doubt I will remember that, so it seems easiest to manually delete node_modules every time that I want to make a significant change to dependencies. Am I missing something? // 1. 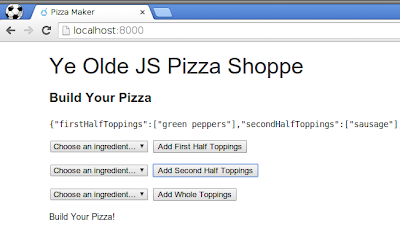 Load Polymer before any code that touches the DOM. I dynamically add the script and link tags necessary get the Polymer platform in place as well as the element being defined. That still works fine. Interestingly, both the beforeEach() call and the done() callback in the beforeEach() work the same in Mocha as they had in Jasmine. By virtue of using done as an argument to beforeEach(), the beforeEach() will block all other tests until I call done(). In this case, I will not call done() until I see the usual polymer-ready event. The problem is not that the polymer-ready event does not fire. Rather it is a question of timing. In Jasmine, the beforeEach() is invoked immediately so that that event listener is in place before the script tags load Polymer. Mocha seems to be waiting for all scripts—even dynamically added one—to load before executing its beforeEach(). So, in the end, not much had to change in my actual tests. 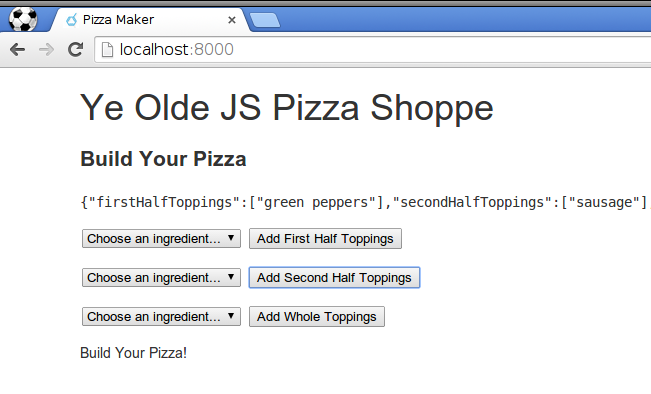 The page object (the xPizza instance above) is completely unchanged. To switch from Jasmine to Mocha for my Polymer code, I had to change dependencies in npm, change the frameworks listed in the Karma configuration, change the Polymer setup code, and make a minor change to the expectation syntax. I am surprised at how similar everything else is between the two. I am unsure if I will stick with Jasmine or switch to Mocha for the book. Mocha does seem little more active (at least the Karma plugin), but I am not sure that the change would buy readers that much. Something to sleep on, I suppose. I Know What ComputedProperty Does!